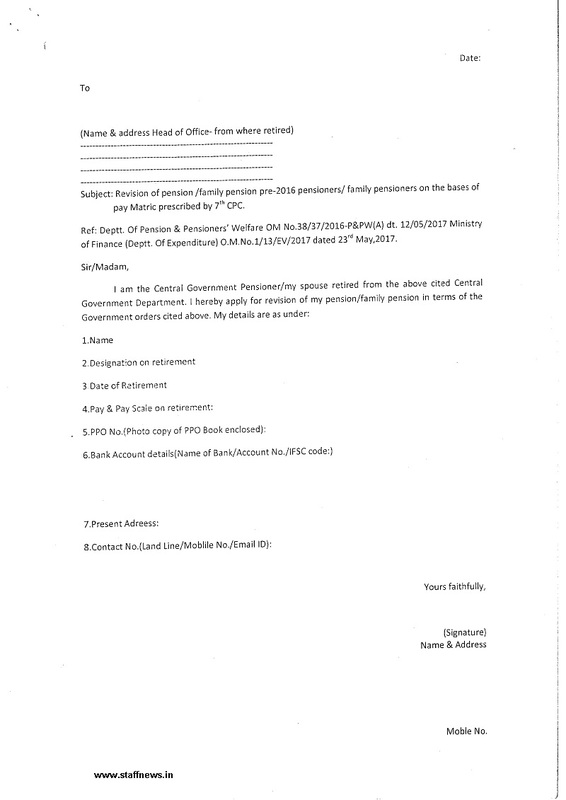 Subject: Revision of Pension/Family pension in respect of Pre-1990-reg. Central Pension Account Office(CPAO) has provided a list (annexed) of 441 pensioners/family pensioners of pre-1990 pensioners. All the concerned pensioners/family pensioners are requested to contact their respective offices from where they had retired alongwith duly filled up enclosed proforma With supporting documents for further necessary action. Subject: Revision of pension /family pension pre-2016 pensioners/ family pensioners on the basis of pay Matrix prescribed by 7th CPC. Ref: Deptt. Of Pension & Pensioners’ Welfare OM No.38/37/2016-P&PW(A) dt. 12/05/2017 Ministry of Finance (Deptt. Of Expenditure) O.M.No.1/13/EV/2017 dated 23rd May,2017. Source: Click here to view/download the list of Pre-1990 Pensioners.